Years before I started this blog I fooled around with Facebook’s “notes” app, which long ago (as measured in Internet years) people used to turn to when they wanted to post longer-form comments and ideas, things that didn’t comfortably fit in a status update. 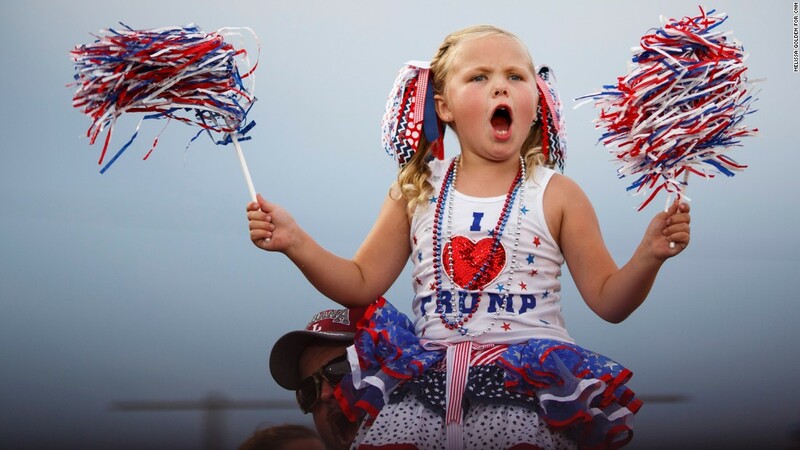 I was thinking about that today in light of the continuing story of Donald Trump’s still ascending political star, the ugly rhetoric that’s fueling it, and the devoted followers for whom Trump’s brutishness seems to be a virtue rather than a liability. Eight years ago, in March 2007, I posted a note on Facebook that today looks sadly prescient. And so it’s worth bringing back and thinking about as this extraordinary political season sails into uncharted waters. 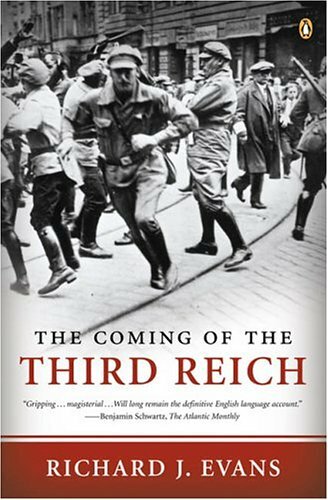 I noted in my status earlier this week that I had been reading Richard Evans’ The Coming of the Third Reich. After finishing it last night I decided to take a break before plunging into the second volume of what will be a majesterial trilogy when it is complete. I didn’t want to leave it without a comment, however. First, the conventional wisdom that the German people voted the Nazis into power democratically is tragically mistaken. As Evans demonstrates, the Nazis never did better than the high 30s in terms of their overall percent of the German vote prior to Hitler being named chancellor in 1933. So how did it happen? I think Evans paints a vivid portrait of how a passive public can facilitate the death of democracy. While a majority of Germans never voted for the Nazis in their rise to power, they stood by and watched as Hitler and his followers systematically dismantled parliamentary democracy. The majority of ordinary Germans were not complicit in the rampant illegality that was the final Nazi rise to power, but neither did they resist. There is a cautionary lesson here for our own times. Don’t get me wrong. I’m not arguing that Trump is a fascist or a Nazi. As Dylan Matthews argues in a long piece at Vox, you can be a right-wing ethnonationalist who proposes immoral public policies without being a fascist. You can call for barring members of a specific religion from entering the country while insinuating that those already here, citizens included, are lying about their loyalty to the homeland. You can pledge that one of your first actions in office will be to sign an executive order sentencing to death anyone who kills a cop. You can defend the beating of a protester at one of your rallies by suggesting that maybe he deserved it. That doesn’t necessarily make you a fascist, or your followers proto-Nazis. But before the rest of us sit back and assume that this too shall pass, let’s remember where the passivity of the majority took another democracy not that long ago. 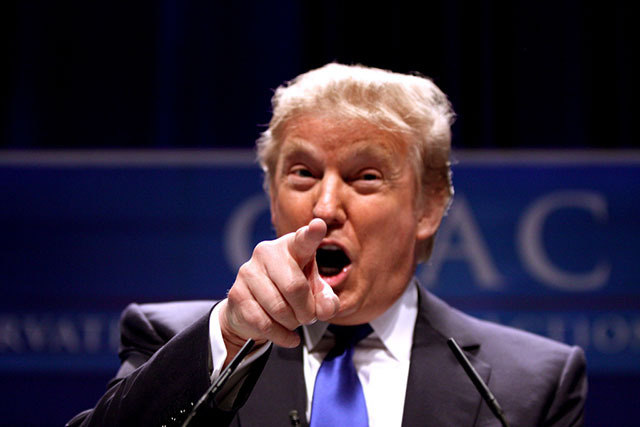 Donald Trump, showman to the end, isn’t the problem. We are. And in case you’re wondering, his policy also would apply to Muslim-Americans traveling abroad. And so Trump takes the fear and xenophobia already rampant in Republican ranks, already being stoked by his slightly less hysterical rivals, and ramps it to new, nauseating heights. When he declared, most everyone, myself included, played the Trump candidacy as a diversion, an amusing little gag. Well the joke’s not funny any more. It’s really not.